Witnessing the Northern Lights is pretty high up on most people’s bucket lists; that’s because actually achieving it, however, is easier said than done. 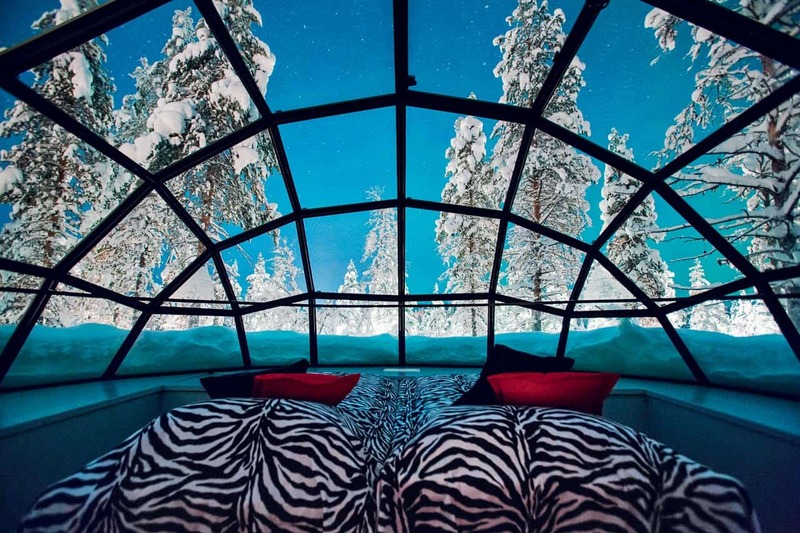 Increase your chances by spending the night in a glass igloo with clear views of north Finland’s night sky – the standard accommodation at Kakslauttanen Arctic Resort. One of the original Finnish Lapland hotels, there’s more to do than lie horizontally gazing upwards through your transparent ceiling at the aurora borealis. Husky rides, reindeer safaris, snowmobiles, horse riding and ice shing are all options to while away the time in this back- to-nature, snowy setting.